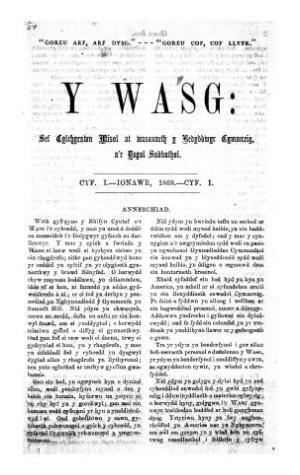 A monthly Welsh language religious periodical serving the Welsh-American Baptists and their Sunday schools. The periodical's main contents were articles on religion, missionary work and science, poetry, reviews and domestic and foreign news. The periodical's editor was Allen J. Morton (Alwyn Trefor).